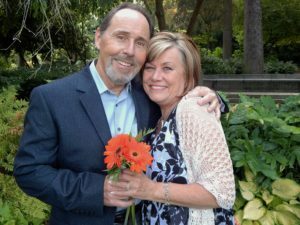 Years ago, my husband, Greg and I, were married in a tiny ceremony for “2” at his home in Woodinville. We then happily boarded a Holland America ship for Alaska, a first-time cruise for both of us (we’ve since been to Alaska this way 6 times!). So, it made me smile when I heard that John and Carolyn were flying into Seattle to get married and then they, too, would be taking off on a solstice honeymoon cruise to Alaska. On a lovely August morning at Volunteer Park, joined by two of their dearest friends, we stood together in a semi-circle and got these two beautiful love birds so hitched up, so married! Take a look at these sweet faces ~ our world is a happier place, blessed by this sweet, loving and gracious couple. What a sweet surprise seeing our photo and hearing about you and Greg. Thank you again and I can tell you these Colorado Lovebirds are HAPPY HAPPY HAPPY. Thank you so much Carolyn, that makes me HAPPY HAPPY HAPPY too!